We're celebrating Valentine's Day now through February 28th! We've teamed up with Bud & Alley's to offer the "sweetest" package around! 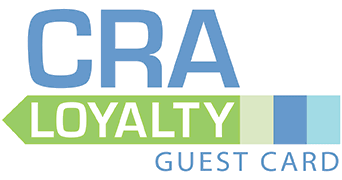 Stay with CRA to receive this exclusive deal. Book 2 nights, get a 3rd night FREE... AND you'll also receive a $50 Gift Certificate to Bud & Alley's Waterfront Restaurant. Also included is a bottle of wine, custom wine opener, and two custom logo neoprene koozies. Eat your heart out! Come our WAY this Valentine’s DAY! Enjoy the sunshine with your favorite valentine this February 14th. We’ve paired up with Seaside staple, Bud & Alley’s Waterfront Restaurant, to create the perfect package for one, two, or a few! 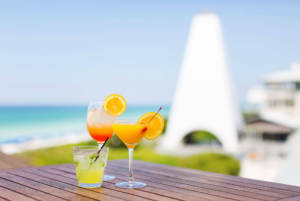 Also, reserve 2 nights, receive your 3rd night FREE, now through February 28th, 2019. Limited time only, based on availability. Don’t let this exclusive offer pass you by! Stay with CRA, and all that’s left to do is enjoy yourself. Cottage Rental Agency’s “You, Me, & The Seaside” package is available for stays January 17th, 2019 – February 28, 2019 for participating cottages; three (3)-night minimum consecutive stay required; limited availability and not applicable to existing reservations or groups; additional restrictions may apply. Dates subject to change. Offers cannot be combined. For availability and reservations, please call 866-990-3489. Offer cannot be reserved online.